Come and cool off at the family fun aquatic center – Pirate’s Cove – in Englewood Colorado in July. 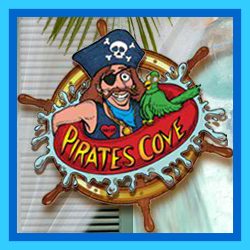 Pirates Cove celebrates Kids Nite with additional fun activities including a treasure hunt, and dancing to a DJ. This event is aimed at 10-14 yr olds and cost is just $6. Have a great time at Pirates Cove!